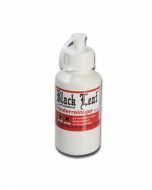 The 'Bong Master' 'Liquid' Cleaning Concentrate is a 100% eco-friendly, biodegradable multi-cleaner for bongs, handpipes, shisha's / hookah's and vaporizers. 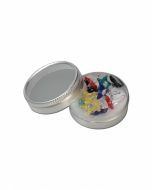 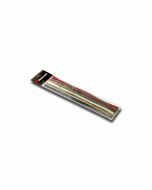 Other things, such as grinders and ash trays, can be cleaned very effectively as well! 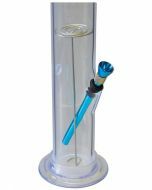 The Liquid Bong Master can be used for cleaning nearly all materials, such as metal, plastic (acryl), rubber, silicone, ceramic, glass and even wood! 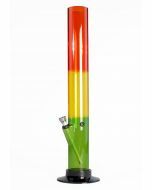 This bong cleaner is actually a true "multi cleaner" that is completely odour-free and taste-free, so no need to worry about any funky aromas after cleaning your bong, pipe or vaporizer. 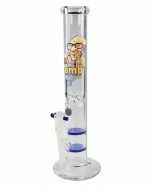 Because the Bong Master Liquid is very concentrated, it lasts for a long time! 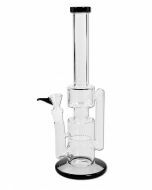 Another great feature is that the Bong Master Bong Cleaner is completely environmentally friendly and bio-degradable, so you can simply flush it down the sink after cleaning! 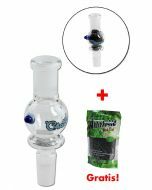 How does the Bong Master Bong Cleaner work? 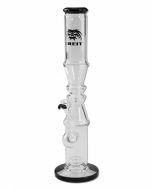 Simple: mix the concentrate with water in a ratio of 1:3 to 1:5 depending on how dirty your bong, pipe or vaporizer is. 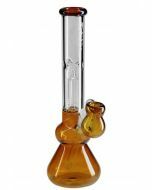 By using warm water, the bong cleaner becomes much more effective, enabling you to get rid of even the most stubborn buildup, especially when using a bong cleaning brush. 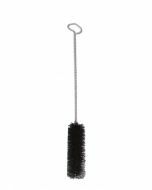 Cleaning your bong will be a piece of cake from now on with this highly effective bong cleaner! 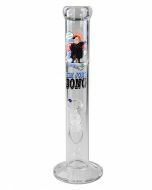 The bong cleaner contains sodium hydroxide, OH ions (hydroxyl) and has a PH-value of 12.